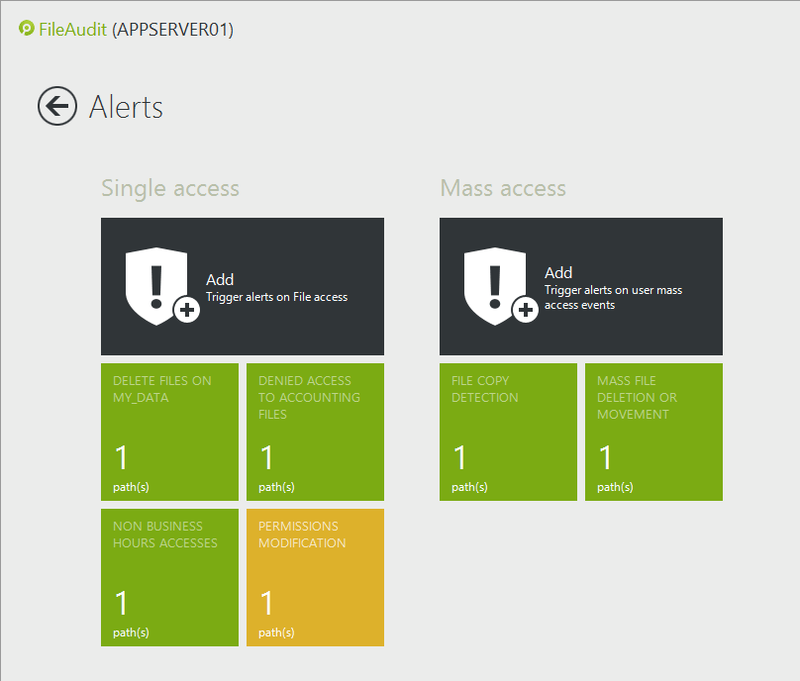 So you want to audit and monitor file access (and access attempts) across your Windows Server? Your absolutely right, It’s an efficient way for an organization to protect their sensitive data and enforce compliance to industry regulations. This post outlines how FileAudit can provide organizations with this insight. Reviewed by PCMag as “an easy yet robust tool for auditing files and folders that reside on Windows systems, run audit reports without the help of IT, and even send alerts about audited events”, FileAudit ensures data security and helps address compliance regulations such as GDPR, SOX, PCI DSS, FISMA, ISO 27001 and HIPAA. In addition it supports Windows 10 and Windows Server 2016. A sleek, fast and innovative interface makes securing the files in your Windows environment easy. Quickly installed with a simple agentless deployment allows FileAudit to protect all file servers without intrusion or the need for deployment on individual servers. With it’s intuitive Windows 8-sytle interface, it’s easy to select the files and folders to be audited, customize alert settings and schedule reports. FileAudit is already used by hundreds of security-conscious organizations across the world, and is the easiest way to monitor who did what, when and from where. 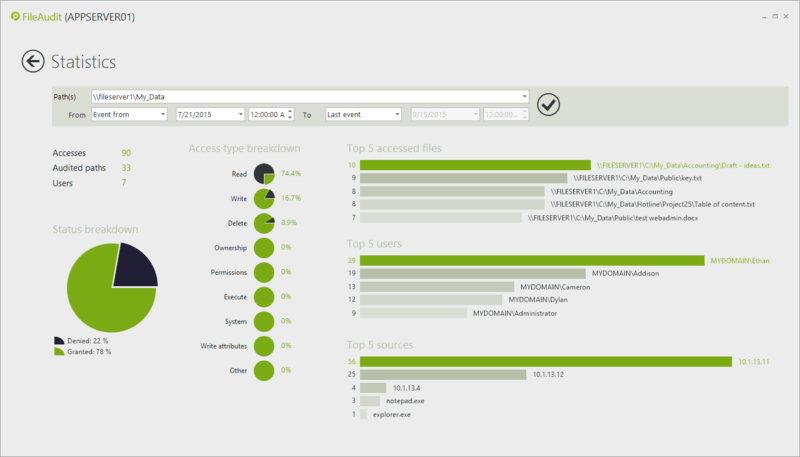 Think of FileAudit as the security cam for all your Windows file Servers. 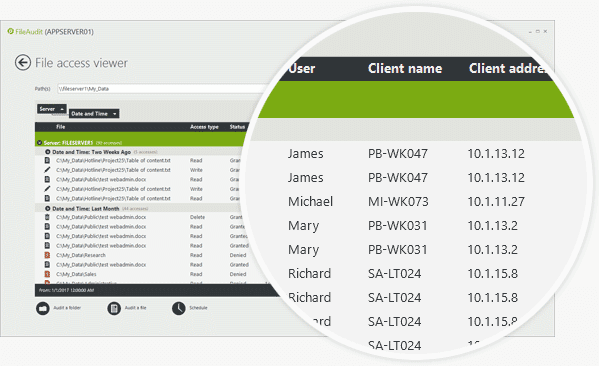 FileAudit provides comprehensive, sortable and real-time information across your organization and significantly reduces the workload involved when having to monitor file access. It constantly examines and records read/write/delete accesses (or access attempts), file ownership changes and permission modifications, so IT or management can immediately address any inappropriate accesses. 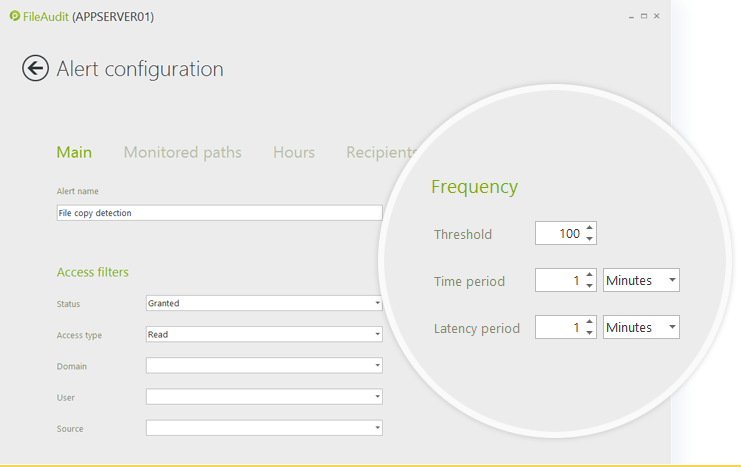 More on real-time access monitoring. Real-time alerts to predetermined events such as a file deletion, a denied access or monitoring a suspicious user, automatically triggers an email to selected recipients, enabling a quick reaction when necessary. Colleagues across your organization can also receive on email, customized reports according to their specific criteria. More on real-time access alerts. In fact is so easy and intuitive, even non-IT executives (and external auditors) can use FileAudit securely and autonomously, without breaching security protocols. In this way, monitoring can be delegated to non-IT colleagues who hold a better understanding of files and folders across their business line, to ensure a more efficient and effective auditing system. More on delegation to non-IT auditors. FileAudit can also now send administrator alerts when mass access, copying, deletion or movement of bulk files has been detected, indicating a potential breach. More on mass access and alteration event alerts. 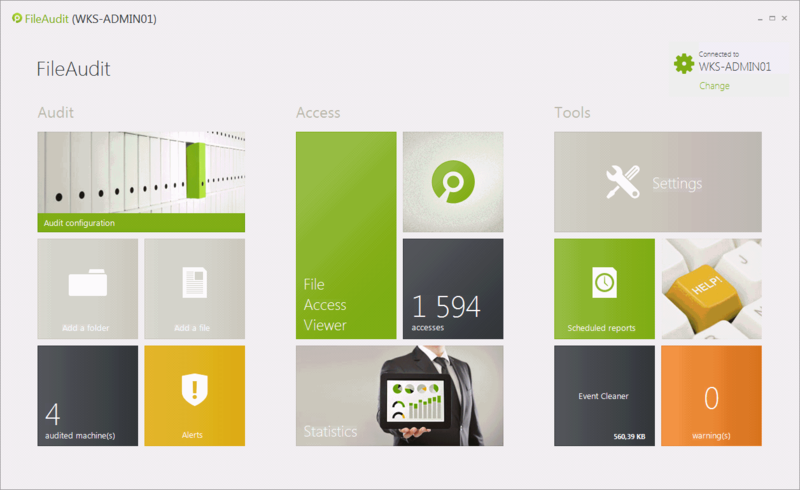 With it’s customizable graphical statistics, all users can see at a glance access events and attempts happening across multiple Windows servers. The recording and long-term archiving of all file access events occurring on one or several Windows systems generates an always-available, searchable and secure audit trail. 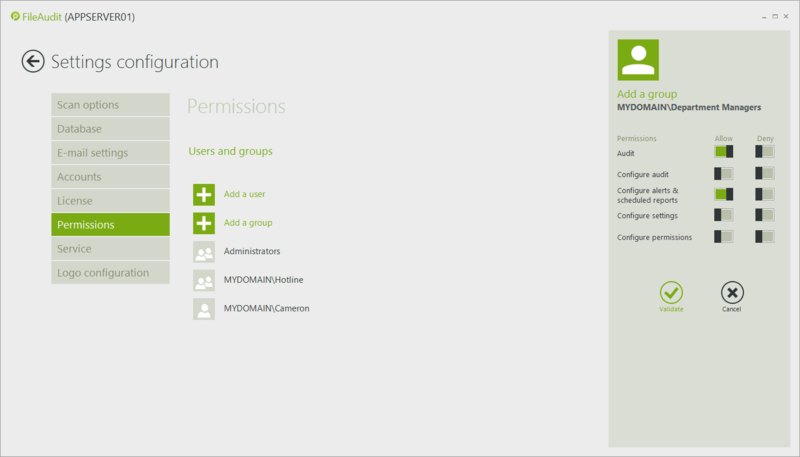 More about powerful filtering capabilities. Easy to use, it’s just as easy to configure. Install in less than 3 minutes, just select the files you intend to audit and your up and running.